At REPs, we are continually finding new ways to connect, develop and create opportunities for our members; this year is no different. We are delighted to launch the South East Convention 2014, delivered in association with FitPro. This year’s huge convention is attracting over 7,500 fitness experts from all parts of the globe and is taking place in the heart of the historic docklands, at London’s Excel Centre. 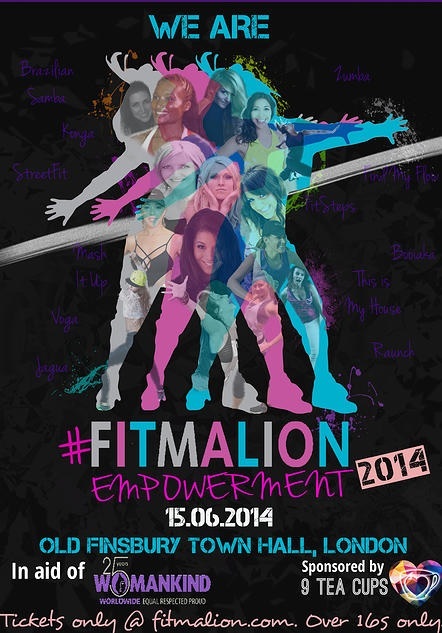 REPs is delighted to support Naomi Di Fabio, Founder of Fitmalion.com, as she hosts the first #FitmalionEmpowerment Dance Fitness event for Charity, which will be held on the 15th June in London. Coachwise Limited is an Appointed Representative of Howden UK Group Limited, which is authorised and regulated by the Financial Conduct Authority in respect of general insurance business. Howden UK Group Limited is registered in England and Wales under company registration number 725875. Registered Office: One Creechurch Place, London, EC3A 5AF. Calls may be monitored and recorded for quality assurance purposes. Copyright © 2019 Coachwise. All rights reserved.